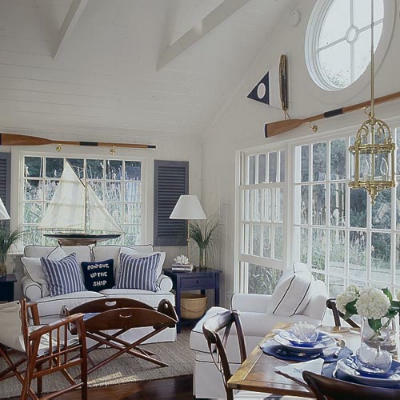 PaperWorks Co. Recipe Challenge Friday! EEK! I'm running late today! I have been running around this morning trying to get ready for our vacation. We are leaving tomorrow to spend a week in Gatlinburg Tennessee~YAY! My hubby and I miss the mountains so much, and we both just love hiking (especially when I know there is a waterfall at the other end:) Hopefully I'll have some pretty pictures to share when we get back! 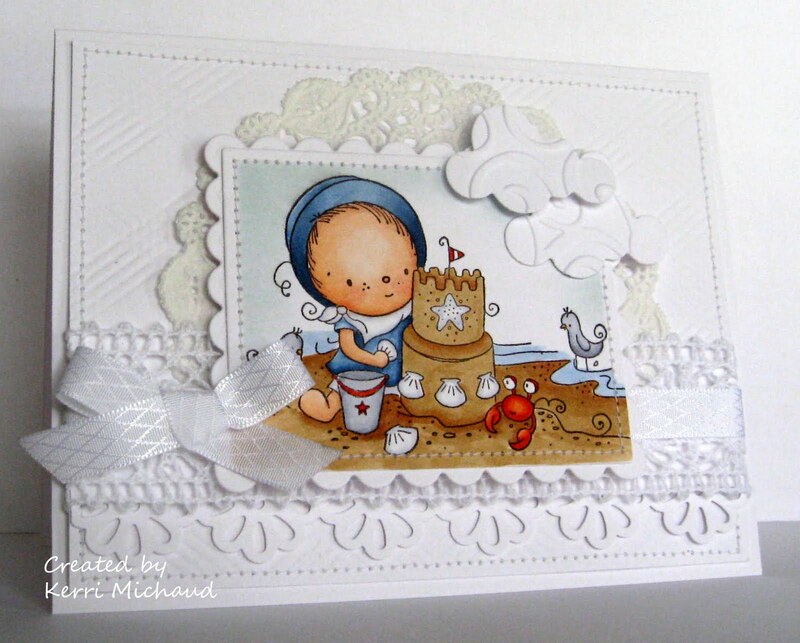 I used this adorable image from the Rachelle Anne Miller Collection called Day at the Beach. I colored it with my Copics, and cut it out with Rectangle Nestabilities. I embossed the bg with my PTI Picnic Plaid Impression Plate. I added a paper doily and some clouds that I cut with my PTI Cloud Die, along with some lace, ribbon, and a border punched with the Martha Stewart Daisy Border Punch. A little stitching and it was complete! If you'd like to play along, just link your creation on the PaperWorks Co. Blog HERE! You’ve got until 11:59 June 30th to play along – and remember, if you play along with at least 2 challenges this month (without combining our sketches & recipes), you’ll be entered to win either your choice of 2 Stamps OR this month’s PaperCard Kit! Well, I'm off to PACK! I have some posts scheduled for next week if you feel like dropping by:) Thank you so much for stopping by today and have a wonderful weekend and Father's Day! Kerri your card was well worth the wait. So so pretty. I just love this stamp, and it stands out so wonderfully against the white background. Such a beautiful card, and a darling image. Kerri awww this is the SWEETEST image girl...WOW you knocked this inspiration out of the park, the PERFECT card for this beautiful room!!! gorgeous girly, hope you have a wonderful weekend! Excellent take on the inspiration photo! Your card is so fresh and lovely!